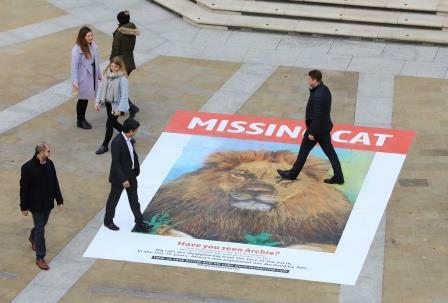 WildCRU’s Dr Amy Dickman is spokesperson for National Geographic as they raise awareness of its Big Cats Initiative with a disappearing poster in London, designed by street artist, Dean Zeus Colman. 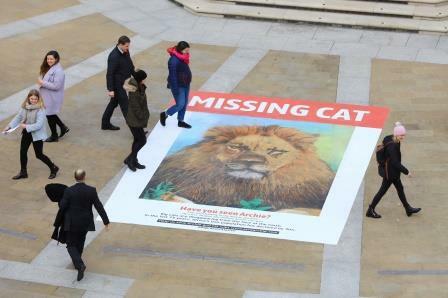 The emotive artwork is a poignant reminder of the role humans play in the demise of big cats. A 260 sq. 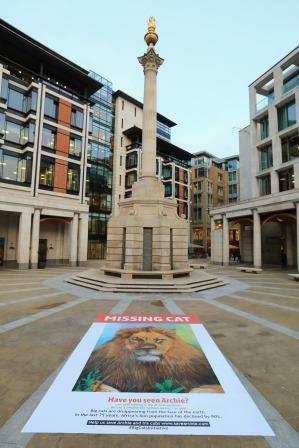 ft missing cat poster with a difference has appeared in London’s Paternoster Square as a tangible reminder of the world’s dwindling big cat populations. 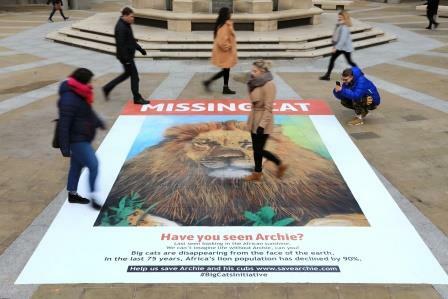 The missing cat in question, affectionally named as Archie, is not an average neighbourhood moggy but a majestic lion, one of the highly threatened big cat species. 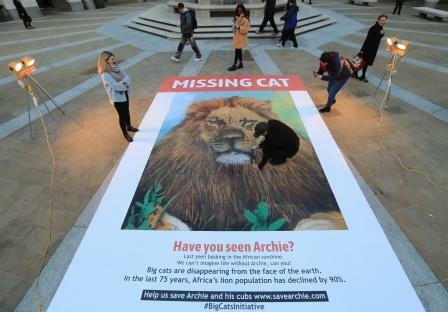 The artwork was commissioned by National Geographic’s Big Cats Initiative to highlight the worrying demise of these magnificent creatures. Big cats are in grave danger, and the iconic lion species is under serious threat; research shows that lions have disappeared from 90% of their historic range1. Nearly half of remaining lion range is outside of protected areas and is therefore particularly vulnerable. 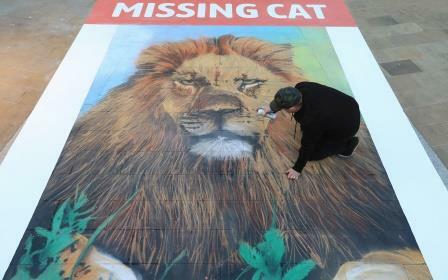 World renowned street artist, Dean Zeus Colman, completed the big missing cat poster using 6 base colours, 100 chalks, 8 cans of spray chalk and over two litres of paint. It took Colman over 12 hours to complete the feline feature.